The Sound of Music, only the world's most beloved musical, turns 50 this year. Even though my children are young, I love to share things with them, especially movies and music that I grew up with. The Sound of Music is one of those movies - and I believe it's such a great classic that everyone needs to watch it at least once! My Favorite Things, Do-Re-Mi and The Sound of Music, these are songs that we all grew up with which continue to hold a special place in our hearts. The Sound of Music first opened on Broadway 50 years ago this month and quickly became one of the most popular and enduring musicals of all time. 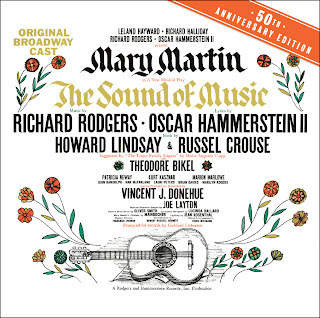 In celebration of the 50th Anniversary, Sony Music has released the 50th Anniversary Special Edition of the Original Cast Recording: The Sound Of Music along with Simon & Schuster’s beautiful The Sound of Music: A Classic Collectible Pop-Up. This Cast Recording and Pop up Book are a great way for you to spend quality time with your child while encouraging their reading skills along the way. According to the Child Literacy Center reading to your child is the single most valuable thing you can do. Many educational intuitions suggest reading predictable books that children can "read" back to you and sharing music with strong rhythms and songs with rhyming lines. What better way to teach your child to read, than with a story and music that you grew up with and love. You can use this Sing-Along guide along with the book to encourage your child to follow the story with you. I've enjoyed The Sound of Music since I first downloaded it onto my computer, even driving my children a little crazy with it. (hehe) My favorite song on the CD is How Can Love Survive?. The book is the best! My daughter and I have really enjoyed sharing this book together. I personally LOVE pop up books and this one is done so exquisitely! The detail on the book is amazing! The CD and book are both new favorites and I'm sure they will be ones that we turn to to get a pick me up! This review is part of a Mega Review I participated in with the wonderful ladies at The Classy Closet Review Panel. 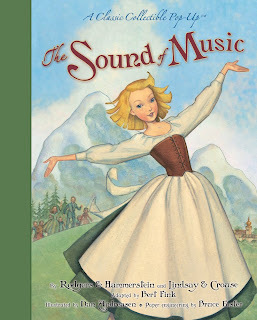 To enter to win a copy of each of these items, please visit Mama Snow's Sound of Music Review and Giveaway. To view all of the Panelists reviews, visit The Classy Closet Mega Review. Thanks to Sony Music and The Classy Closet Review Panel for this review opportunity! Disclaimer: I was sent the product named above to review on behalf of The Classy Closet Review Panel. The opinions expressed above are solely my own and yours may differ. Receiving a product will NEVER influence what I write in any review. The Sound of Music is one of my mom's favorite movies. It always makes me think of her. Sounds like you and your daughter were able to share similar lasting memories with these products. That's wonderful!